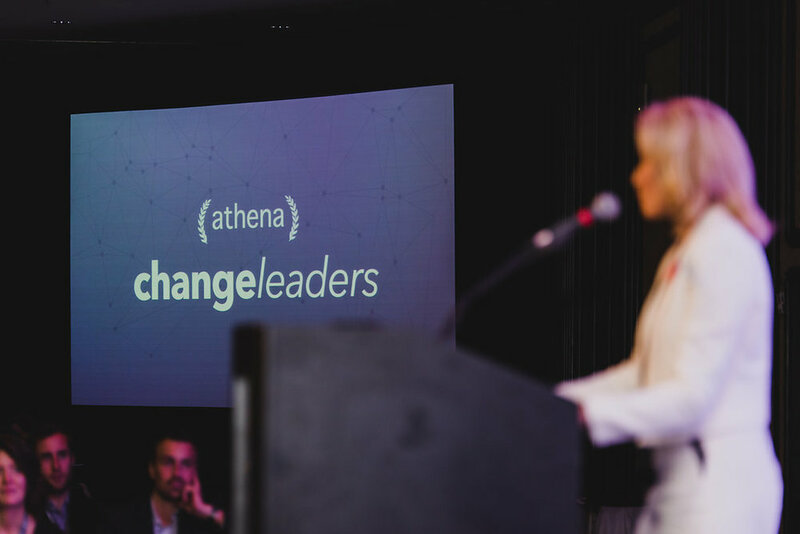 Athena Changeleaders: Manitoba’s first millennial leadership conference. The conference, with proceeds benefiting community and scholarship development, will feature powerful keynotes and discussion panels with over 400 young leaders in attendance. 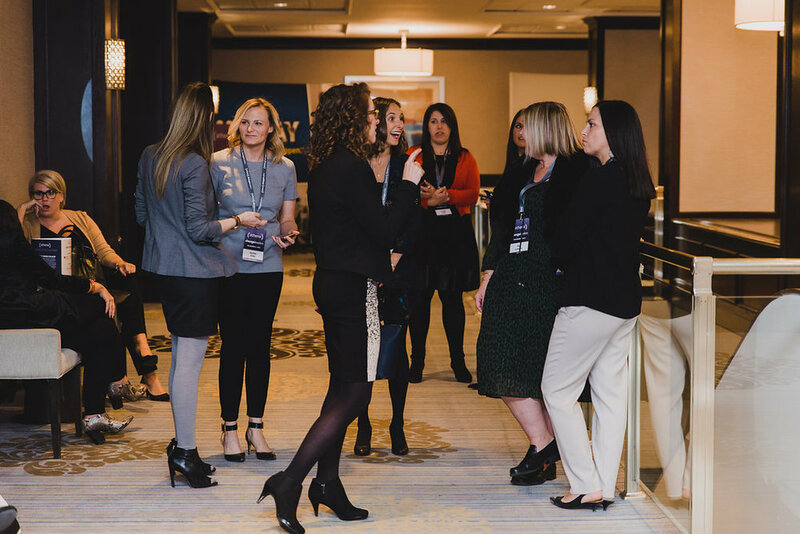 changeleaders will develop tangible and definable leadership skills that can be put into action immediately: changeleaders is for the development of Manitoba Millennial Women, and those within the community who recognize the value of supporting millennial leaders. 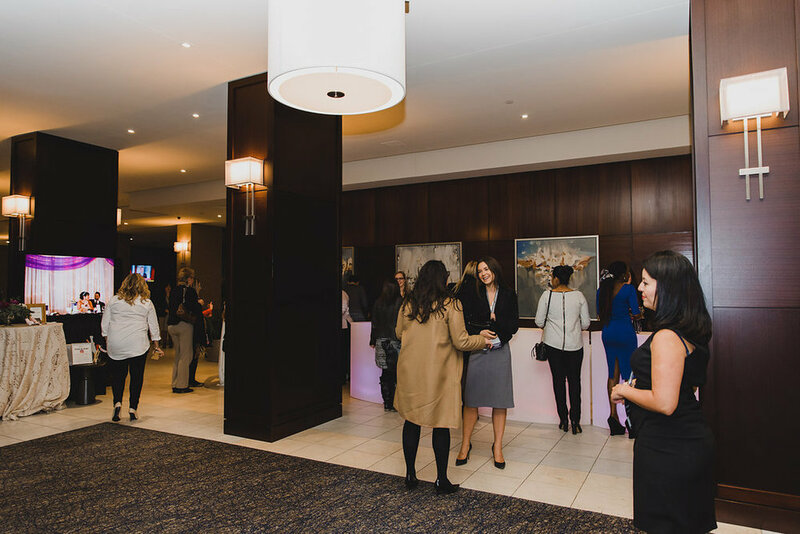 changeleaders is a place for change agents; gathering hundreds of Manitoba’s brightest millennial women, important entrepreneurs, creative leaders, and community heavyweights together. 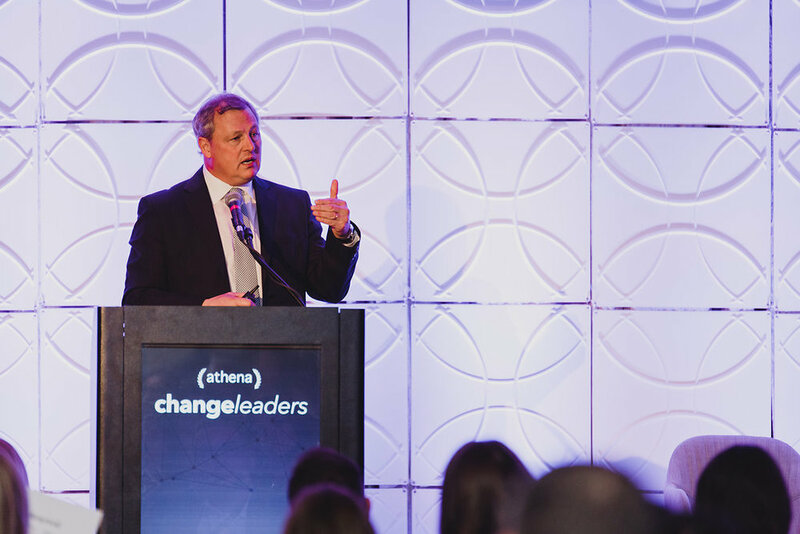 On November 2, 2016, nearly 500 changeleaders converged in downtown Winnipeg, taking in exciting opportunities to connect and grow together. 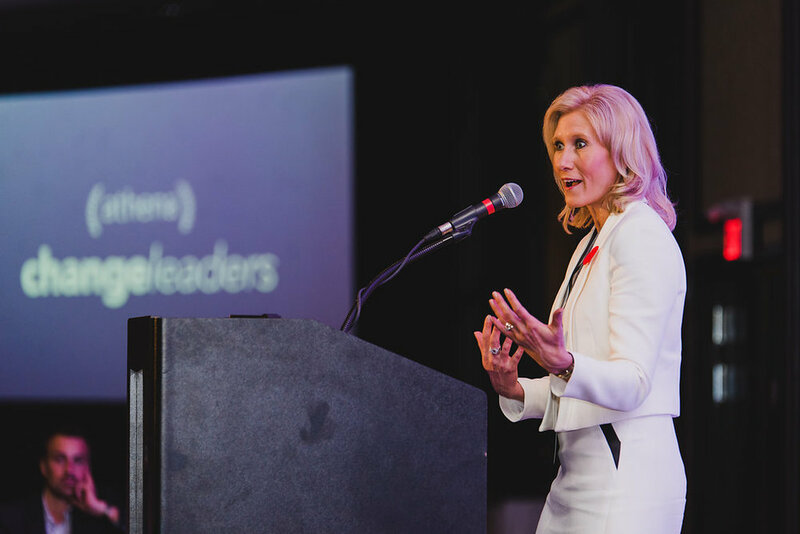 The conference, Canada’s first millennial leadership development conference, featured powerful keynotes and discussion panels and sold out in less than 5 business days. 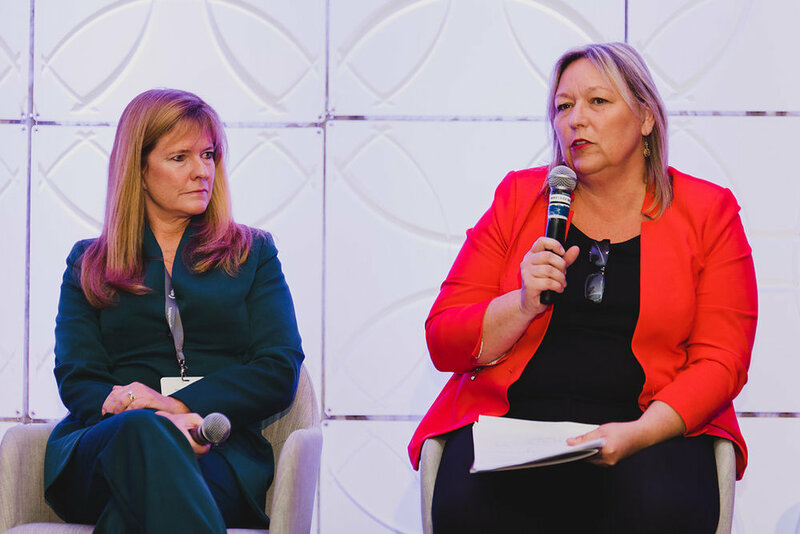 Athena’s goal was to bring learning and opportunity to more millennial women in Manitoba and on November 2, we changed the conversation, changed perspective, and changed our future - together. 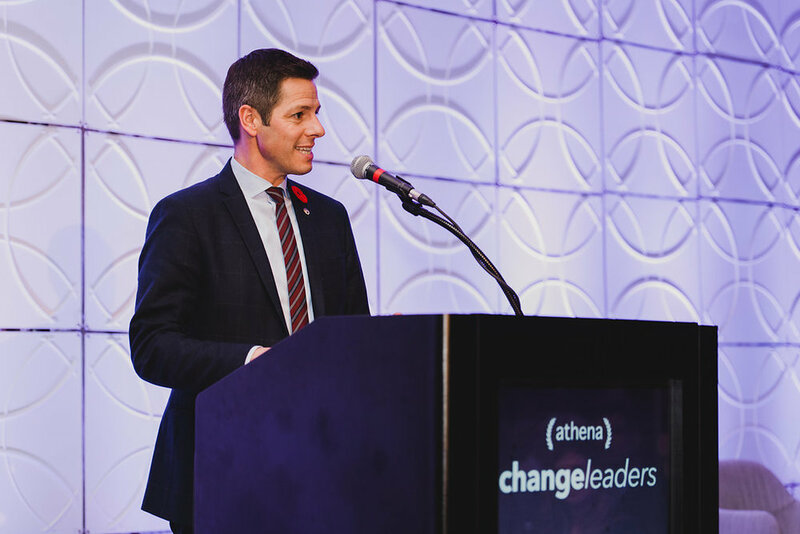 As a result of changeleaders, Athena Leadership was able to donate $20,000 to the scholarship fund, announce a new donation of $5,000 to Ka Ni Kanichihk through our friends at United Way Winnipeg, and increase the grantable amount of the Leader of Tomorrow Scholarship to $3,000. 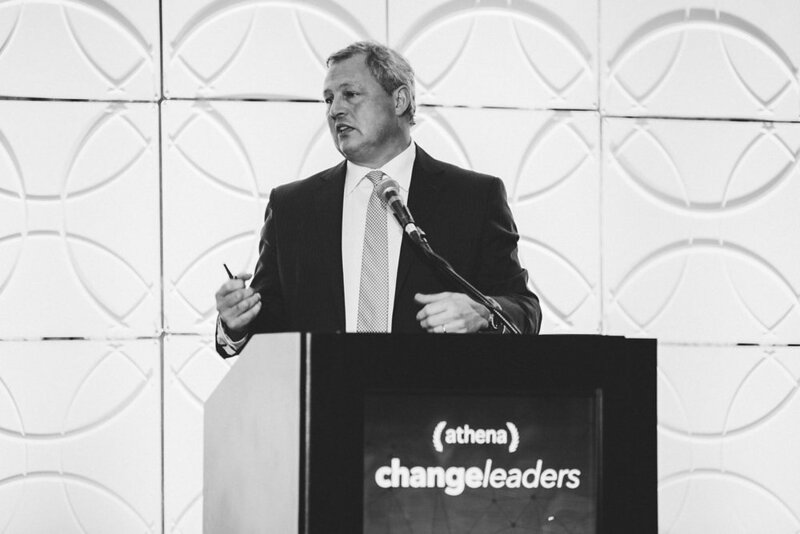 Athena Leadership is proud to host changeleaders, the first of its kind in the Canadian Prairies. The conference, with proceeds benefiting community and scholarship development, will feature powerful keynotes and discussion panels with over 400 young leaders in attendance. changeleaders will develop tangible and definable leadership skills that can be put into action immediately: changeleaders is for the development of Manitoba Millennial Women and Men and those within the community who recognize the value of supporting millennial leaders. changeleaders is a place for change agents; gathering hundreds of Manitoba’s brightest millennials, important entrepreneurs, creative leaders, and community heavyweights together.